A few days out. Discover the best sites nearby. Wishing to get away from it all for a few days? Then we have the perfect package for you! Moeke Mooren has a beautiful location by the Meuse river, on the border of provinces of Gelderland and Brabant. Get to know new places and enjoy the beautiful surroundings during your few days away here with us. With plenty of nature nearby, sights and activities, there is plenty to do in the Land van Maas en Waal area. Enjoy this well-deserved trip. Visit the largest inspirational gardens in the Netherlands and gather yourself some inspiration and fresh air. A nice day out, we assure you that! 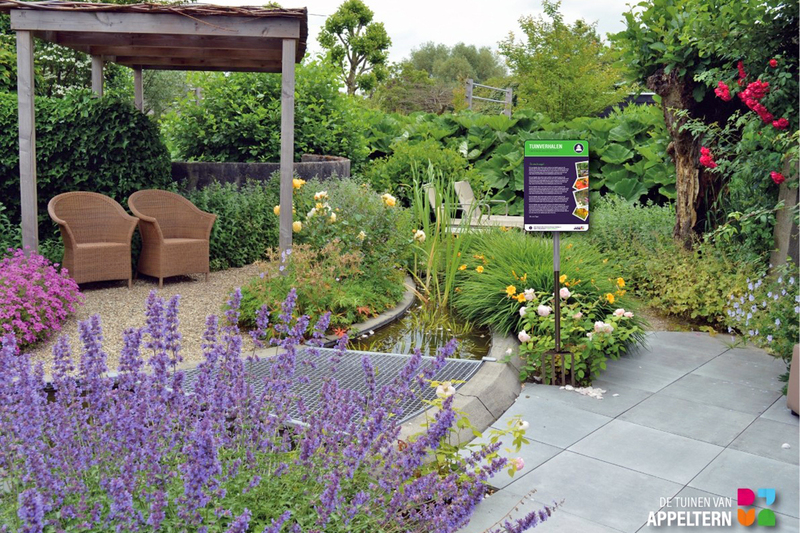 Discover the large inspirational Gardens of Appeltern in the Netherlands. Walk through the park with an audio guide and hear information about the gardens in your walk in through the gardens. During the walk through the inspirational gardens, you will also find interesting information about gardening, landscaping and gardening trends along the way. Visit the most beautiful flower garden in the Netherlands soon and be inspired by more than 200 model gardens in the Gardens of Appeltern. Rivierenland is a versatile region and therefore inspiring for all ages. 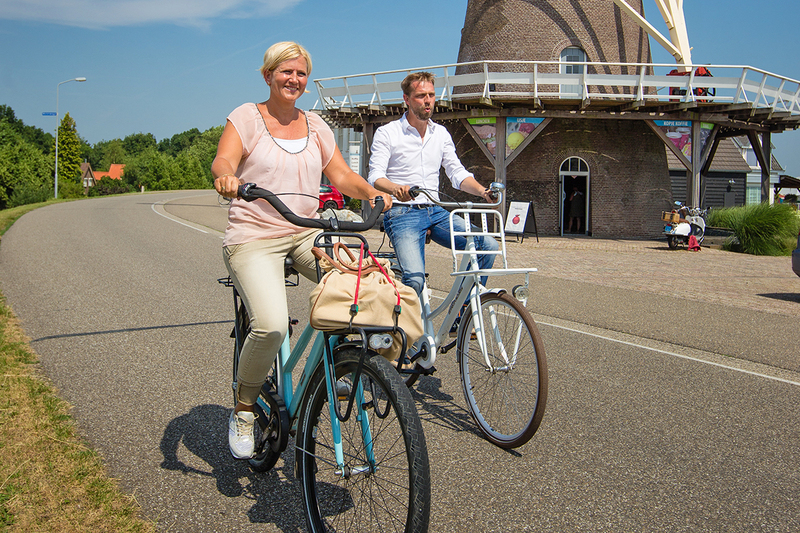 Discover Rivierenland by bike. Come aboard and experience the beautiful Land of Maas and Waal from the water. The luxurious passenger ship De Sluizer is the sailing center for a fantastic cruise on the Meuse and a day trip through the Land van Maas en Waal area. Villages along the Meuse river pass by while the captain of our luxurious passenger ship De Sluizer tells you interesting facts about the nature, architecture and history of the passing villages. In both summer and winter you will experience the Meuse at its best. Combine a comfortable stay with a beautiful view. Come enjoy! Two nights, the breakfast buffet and two surprise dinners are included in this short vacation. Let yourself be warmly welcomed by Moeke Mooren . In the quiet of the countryside you can sleep in one of our comfortable rooms. From the rooms you can enjoy the view over the ponds of De Gouden Ham recreation area and / or the polder landscape. Then you can start the day with a hearty breakfast. In the evening you can enjoy a delicious three-course menu composed by Moeke Mooren’s chef and the Korenmolen restaurant. Come enjoy it and be surprised by what out chef has in store for you! Awake wonderfully rested in one of our attractive rooms with a view of the water and nature reserve or the polder landscape. Have fun with indoor activities. Visit the Gardens of Appeltern, sail with our captain along historic places or discover the most beautiful cycling routes! Enjoy a delicious 3-course menu at Moeke Mooren and the nearby restaurant De Korenmolen.